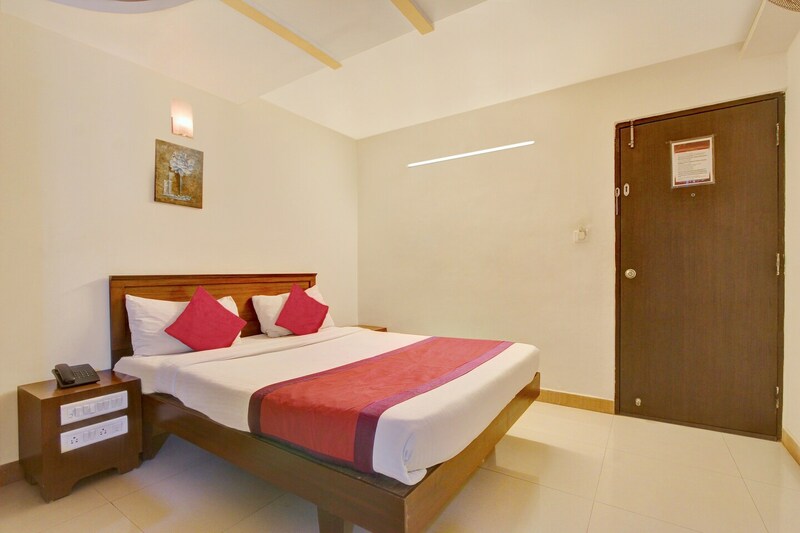 The Sri Sai Inn is a trustworthy option for travelers visiting Bangalore. The rooms are painted in a neutral tone and decorated with wooden furniture. The notable additions to the rooms are the brightly colored curtains and cushions. The furniture provided helps the guests to work and relax in the same space. The large windows let in bright sunlight and fresh air, making the room feel lively. Facilities included at the property are free wifi access, laundry services, card payment option, power backup and CCTV cameras.